We’re working hard in the area of phonological awareness as we are heading towards the half way mark in Kindergarten. Letter names and sounds, rhyming words, beginning and ending sounds of words and blending and segmenting are some of the skills we’ve been focusing on. You can emphasise letter and sound recognition (your child can recognise the sound and tell you what letter it is) and sound production (your child can produce the sound of a letter you name or show in print) as we move through the alphabet in class; we’re on the letter P but don’t let that stop you from going ahead to work on the entire alphabet. We also teach letter formation in our weekly alphabet work; check your child’s weekly Itchy’s alphabet page for an example of how we print each letter. 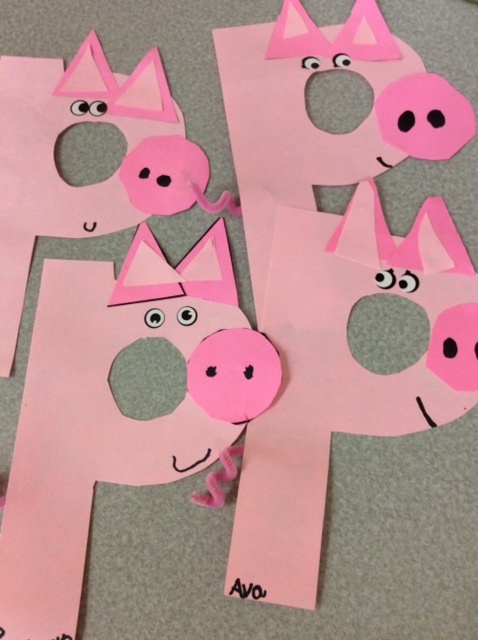 We made these cutie – patootie piglets for Alphabet P this week! Each piglet has a unique personality, just like our Kindergarten children. We’ve been reading some very special books about Winter the past couple of weeks. 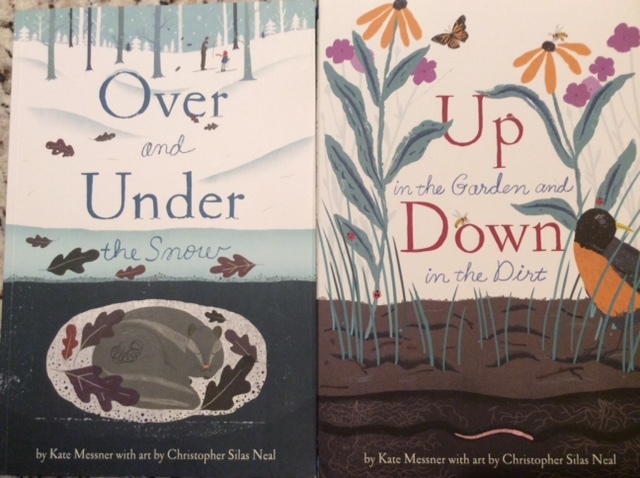 One of them is called Over and Under the Snow by Kate Messner, illustrated by Christopher Silas Neal. It is beautifully illustrated and talks about the animal world beneath the snow. There is a second book, Up in the Garden, and Down in the Dirt that we are looking forward to reading in the Spring when we are learning about Plants. 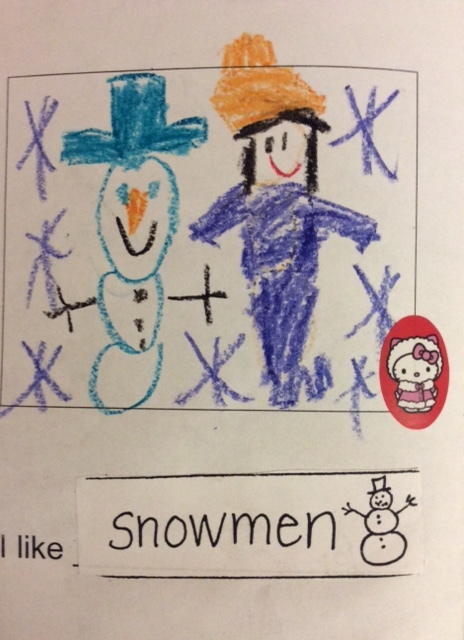 We introduced the sentence frame “I like…” as part of our Winter theme. The children selected their favourite things about Winter from a Winter word bank, cut and pasted their word to the page, and illustrated each one for their “I Like Winter” booklet. We’ve exploring number right now in Math and in our usual Math Their Way style, have set up a variety of centres for our children to rotate through. Using a familiar routine such as centres, allows our children to focus on the task at hand: they know and understand the expectations of group work including sharing, speaking kindly, cooperating and helping each other to finish their work. We are working towards independence in every activity we do. For our number centres, we’re using some familiar materials, including pattern blocks and multilinks. 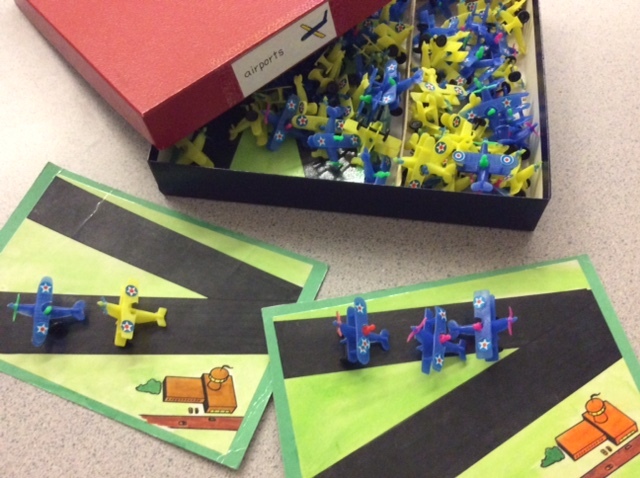 We’ve also introduced some new resources such as the red game boxes from the Workjobs of Math Their Way. Inside each Workjob box are gameboards and counters. In Kindergarten we use them for patterning and counting. When we taught Grades 1-3, those same Workjobs were used for addition and subtraction to 10 and multiplication and division. 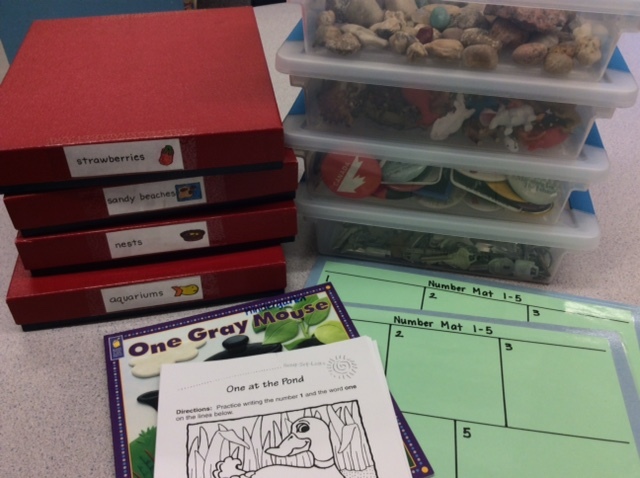 It’s exciting to watch our children explore, create and count sets using many kinds of educational resources also allows them to practise making choices, be flexible in their thinking and show number in many different ways. In PE we’re continuing to focus on locomotor movement including walking, running, skipping, hopping and jumping. The children are learning to move in different directions (forward, backwards, sideways) and understanding the importance of personal space. We’re into our second week of using small equipment (beanbags). We wrapped up this week with our school’s January Assembly. We had an opportunity to review the safety rules for moving through the hallways, playground and appropriate language use. We also talked about the #choosekind campaign going on at school from now until the middle of February. We’ll be highlighting kindness (words and behaviour) in our classrooms and school and those those actions can pay themselves forwards. Library Book Exchange is on Wednesday, January 31. We had quite a few browsers this week so please help your child to remember to bring their book back to school. The skating permission slips went home this week. Please mark the two dates on your calendar (February 7th and February 28th). Payments are made through School Cash Online. Permission slips are to be returned to school. We need many volunteers at the rink to help us get skates sized and then put on and laced up. If you are able to join us we’d love to have you. It’s been a terribly cold and wet week and the many kindergarten children have been complaining about being cold and not wanting to go outside. Please have them dress in layers and have proper boots and rain jackets so we stay warm outside during our playtime.